Jack Davidson and Robin Dawson have been invited to join the Great Britain and Ireland squad which is being considered for the 46th Walker Cup match against the United States at Los Angeles Country Club in September. Both players have enjoyed strong starts to the season and have been added to the initial 19-man squad announced in January. Davidson recently won the individual event at the European Nations Cup and was part of the winning Welsh team. 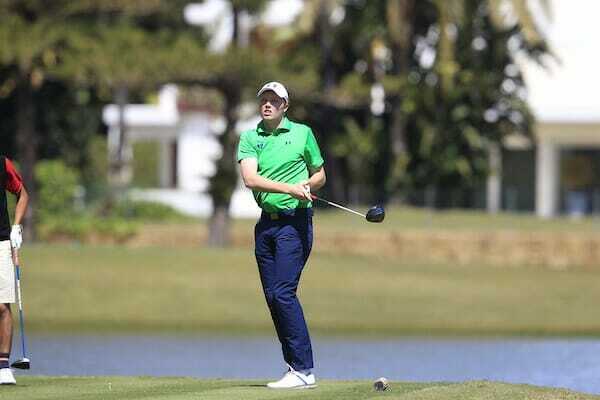 He also won the Spanish International Amateur Championship last month. In January, the Wales international finished third at the South American Amateur Championships staged in Buenos Aires. He is the third player from Wales in the squad. Dawson, an R&A Foundation Scholar, was runner-up in the European Nations Cup individual event and the South African Stroke Play Championship. He also played in the Cape Province Open in South Africa where he finished third. Dawson is the sixth Irishman in the squad. Craig Watson, Great Britain and Ireland captain, said, “Jack and Robin have been playing exceptional golf recently and their invitations to join the squad reflect the excellent results they have achieved so far this year. The squad will gather at Royal Lytham next month ahead of the Lytham Trophy which starts on 5 May.